This article includes spoilers for Kings. I’m struggling to fully grasp what Deniz Gamze Ergüven was going for with her film centering around the Rodney King riots. My best guess is that she wanted to create an all-encompassing aspect of the chaos, brimming with rage, love, and euphoric release. This may make Kings sound like most ambitious of stagings for a period when racial tensions ran high, but there’s an amateur vibe to the baffling shifts in tone. One moment we’re watching a teenager bleed to death in the burning streets, the next scene it’s a silly scenario of a romantic couple trying wiggle out of handcuffs. I was never sure whether I should be laughing at the comedy or shocked by the brutality, but I was more perplexed than anything. The premise of Kings is not a terrible one. 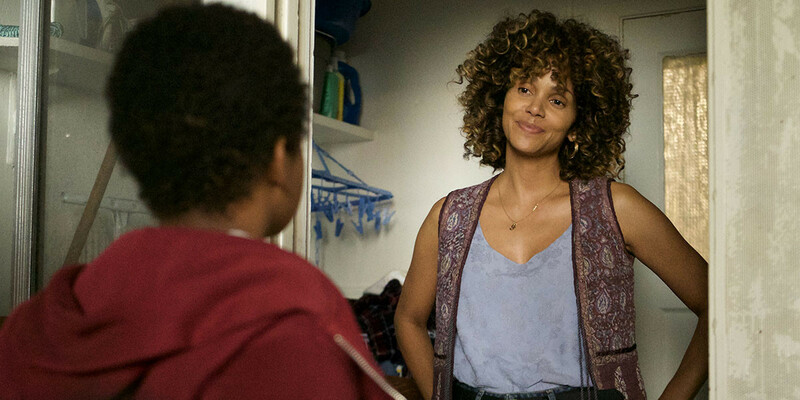 Halle Berry is incredibly likable as Millie Dunbar, a Los Angeles mother struggling to keep a house of kids on track and up to standards. Her life is a blur of work and meals, but she somehow finds time to be a loving mom that plays with her kids. There’s hopelessness weighing on her that she still hasn’t done enough, as she takes in children off the street that social services cannot allow her to house in her currently cramped home. She won’t get much help from her grouchy neighbor of a writer, Obie (Daniel Craig). Well, at least, not until he’s roped into watching the kids when things get rough. Consistently in the background like a storm cloud forming is the Rodney King trial, blasted all over television and radio to the point where it’s near impossible for Millie to shield it from her kids. Her oldest boy Jesse (Lamar Johnson) takes note of how apocalyptic the world seems for black people and decides to venture down the darker path of thievery and destruction. What begins as stealing from the grocery store soon turns into a frightening drive through a burning Los Angeles. 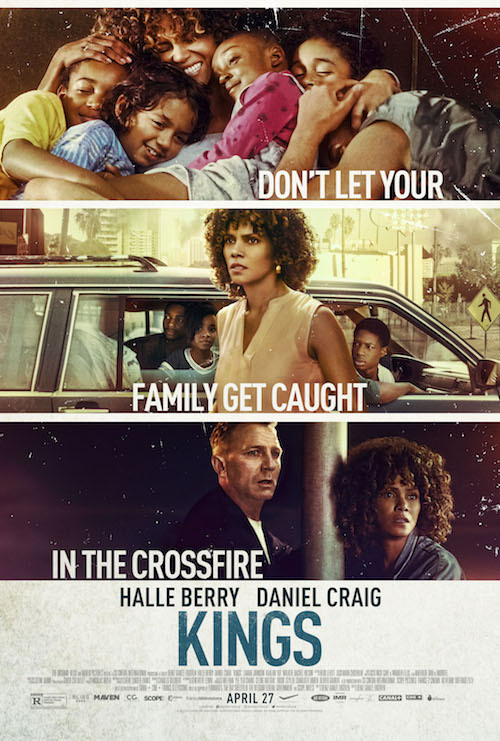 Jesse’s journey is one of melodrama and violence, but it contrasts significantly with the antics of Halle Berry and Daniel Craig. Their arc plays more like an Adventures in Babysitting comedy staged around the riots. Scenes that should carry raw emotion between the two are broken by odd jokes that are entirely out of place. Consider the emotional scene where Berry ventures out of her house of kids to prevent an officer from arresting a young man, only to be arrested herself. Her arresting cop is soon overworked with more aggressive suspects to pursue, and Berry is dumped out of the cop car and onto to the street in handcuffs. It’s a terrifying situation with gunfire and sirens in the distance, but Daniel Craig conveniently pulls up to her with his car to smirk and ask what happened to her, as though she’d had a wild night at the bar. Their goofiness continues to build in absurdity. I would think it would be scary for a mother to come home to her kids in handcuffs. That tension seems missing, as Craig’s character is so impressed with his ability to chisel off the cuffs that he celebrates with a beer, as though he finished a set at the gym. And in case there was some sense of normality to their bizarre behavior, the movie goes the extra length of goofy by having a scene where Craig and Berry are handcuffed together to a streetlight. And now the kids have to drive the car? What a wacky night! Kings is absurdly inappropriate for how Deniz Gamze Ergüven tries to balance a tacky romantic comedy with a grim teenage coming-of-age drama. Rather than take personal aim at the Rodney King riots, the film contorts itself to fit in laughs and tears, never blending any of it without looking like a Frankenstein’s monster of two subpar movies stitched together. The Rodney King riots should be adequately used as a stage for reflection and perspective on the justice system, racial divide, and cultural rage, not a platform for Craig and Berry to blush in a compromising situation fit for a sitcom.